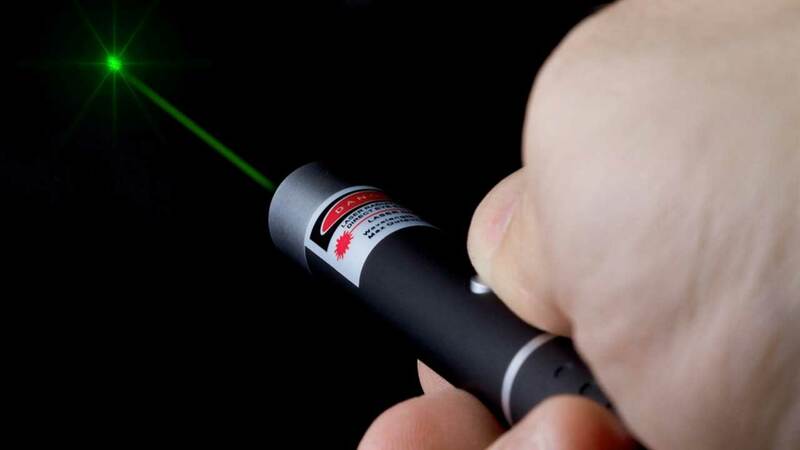 MATTITUCK, Long Island -- Police in New York are investigating a report that a United Airlines flight from New Jersey headed to Rhode Island was struck with a laser on the eastern end of Long Island. New York State Police say troopers were called around 11:30 p.m. Monday after the crew of United Express Flight 4404 reported being hit with a green laser while flying over Mattituck. The flight took off from Newark, New Jersey, and was headed for Providence, Rhode Island. Officials said the plane was at an altitude of about 11,000 feet when the laser was shined in the cockpit. Police say officers searched the area after receiving the report, but couldn't find anyone. They say an investigation is continuing. A spokesman for ExpressJet Airlines, which operated the flight, said it reported the incident to the Federal Aviation Administration.